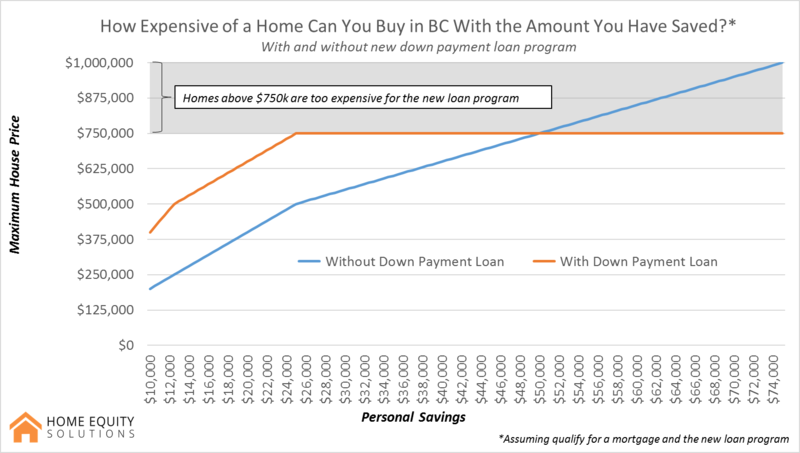 If you are thinking of buying your first home and you live in BC, then you should be aware of the Home Owner Mortgage and Equity Partnership, a new loan program from the Provincial Government. In a nutshell, they will loan you some money for your down payment. What are they looking for in exchange? Probably your vote. Not everyone qualifies, there are limits, and it won’t last forever. This article sums up what you need to know, if it’s good for you and if it’s good for the province. The loan is targeted at middle-income families with stable incomes that have not been able to save up a large enough down payment. We emphasize “stable” here for a reason. The program only stipulates that you can’t make more than $150,000. It does not enforce a minimum income level or require a certain type of income (salaried vs. self-employment. HOWEVER, you still have to qualify for a mortgage from your bank and they may be more hesitant if you have less skin in the game (didn’t contribute all of the down payment). That being said, you may already have 5% or more saved up and only plan to use the new down payment loan to save money on interest payments and CMHC fees. So, if you already have your down payment saved up, how much can you save by using the new Loan Program? If you don’t have enough of a down payment, but you can otherwise qualify for the mortgage and you meet the requirements of the new program, how expensive of a home can you buy? Let’s say you intend to use the new loan program to buy a more expensive house, rather than save money on the one you were intending to buy. Let’s further suppose that you qualify for your mortgage and for the loan program. #2-How Much Can You Save by Using the New Loan Program to Buy the SAME Home? Should You Use the New Program? If you were already going to buy a home, then absolutely. Give it some careful thought if you are on the fence, though. On the whole, this isn’t the best policy for the Provincial Government as it mostly pushes the problem further down the road and ignores its root causes by focusing on demand, rather than supply. However, it will help some buyers get into the market and while they anticipate loaning out $700 to $750 million, they will get the vast majority of it back (though without interest). Over the 3 years of the program, the loans will certainly prop up demand for apartment and condos and the Greater Vancouver Area and single-detached houses elsewhere among first time homebuyers. However, boosting demand with financial measures will also push up prices, eroding some of the intended affordability benefits.